The new season of FIRST LEGO League has begun. This year's challenge is called Hydrodynamics and challenges teams of students in grades 4 to 8 to improve the way that people find, transport, use, or dispose of water. Over 200 000 students on 30 000 teams around the world will work to identify a problem within the human water cycle, design an innovative solution, and share their findings with others. Teams will also build, test, and program a robot using LEGO MINDSTORMS kits to solve the set of 18 Hydrodynamics missions all while operating under FIRST LEGO League's signature Core Values. 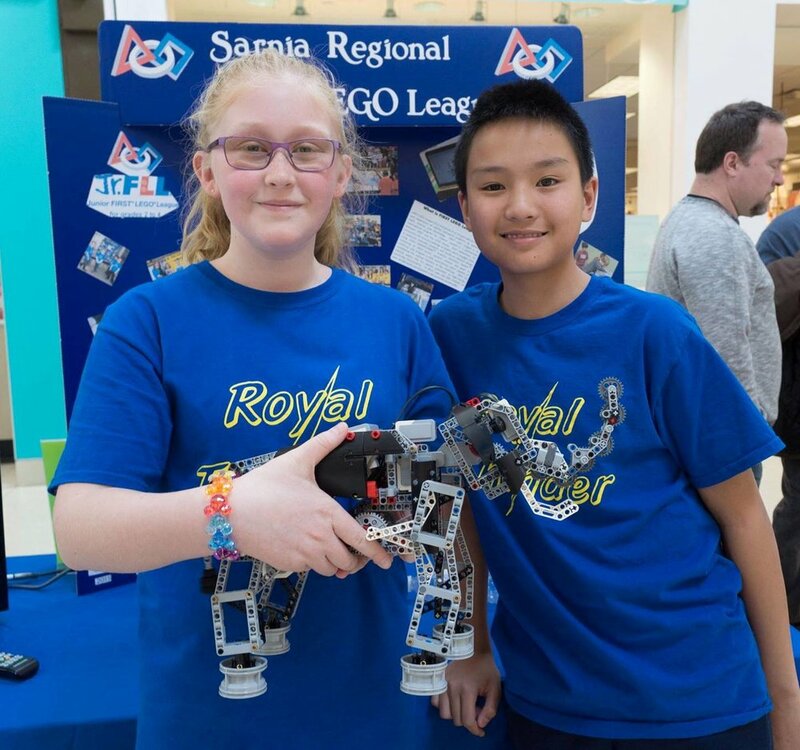 The 12th annual Sarnia Regional FIRST LEGO League Tournament will be held on Saturday, December 9th. Last season, 19 teams from Lambton and Kent counties competed, with the top 3 teams advancing to the Ontario West Championships. For more information about the tournament, check out the event page. Anyone interested in becoming a judge, referee, or volunteer for the Sarnia Regional Tournament, please contact Mr. Jeff Laucke.